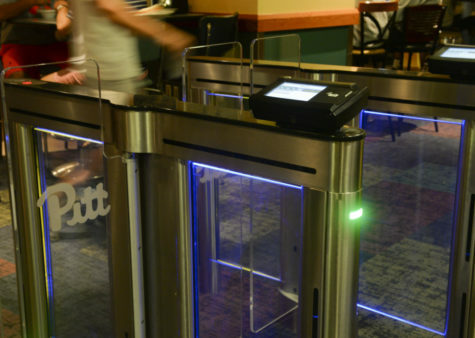 Students once again offered their input on Pitt’s strategic plan Wednesday night — and some of them brought very specific questions and concerns to the table. The University held its second open forum yesterday in the Connolly Ballroom of the Alumni Hall. Administration heard comments about two of the plan’s five strategic goals: advancing educational excellence and diversity and inclusion. When he unveiled the plan, Chancellor Patrick Gallagher said it was meant to be a north star, but students came to the forum Wednesday to talk about specific policy changes and financial concerns. 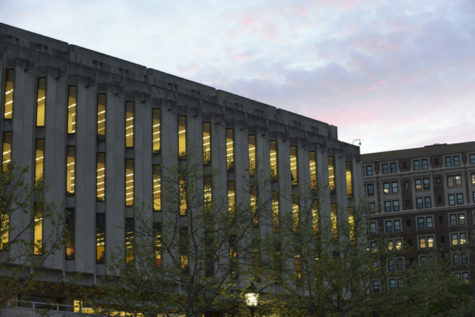 Joe Streets, the environmental chair for Student Government Board, brought up sustainability in the plan — a specific topic that DeJong said was not part of the plan’s broad goals. “The [institutional plan] is light on specifics,” DeJong said. Around 40 students attended the forum — roughly half as many as there were at last Wednesday’s open forum. Kenyon Bonner, the interim dean of students, said he and DeJong narrowed the forum down to two subjects so students could form their ideas in relation to specific goals. 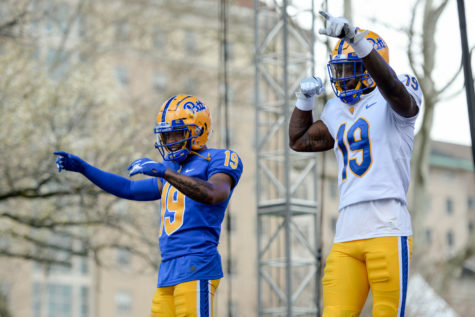 Pitt unveiled the strategic plan in September, an initiative that Pitt administration designed to act as a guide to Pitt’s goals over the next five years. 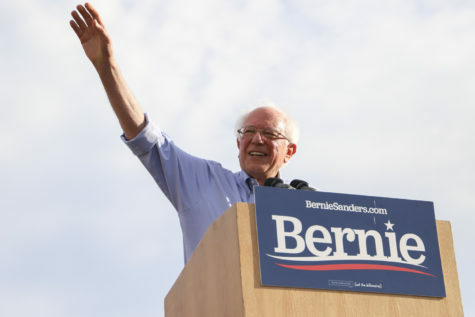 The plan garnered passionate responses from student groups like Americans for Informed Democracy, Free the Planet and Students for Justice in Palestine, who felt that the details were vague and lacked transparency. 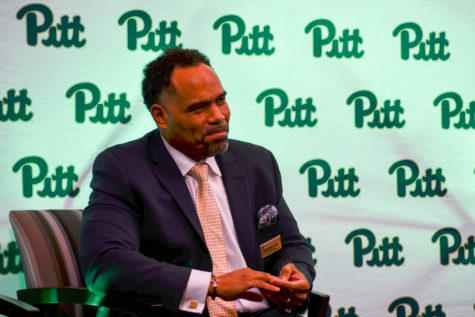 The plan is meant to guide conversations, changes and programs within the colleges and among deans, organizations and departments within the University, DeJong said. After a student asked what DeJong was doing with input after the forums, DeJong said he brings their questions and concerns up at weekly meetings with working groups. 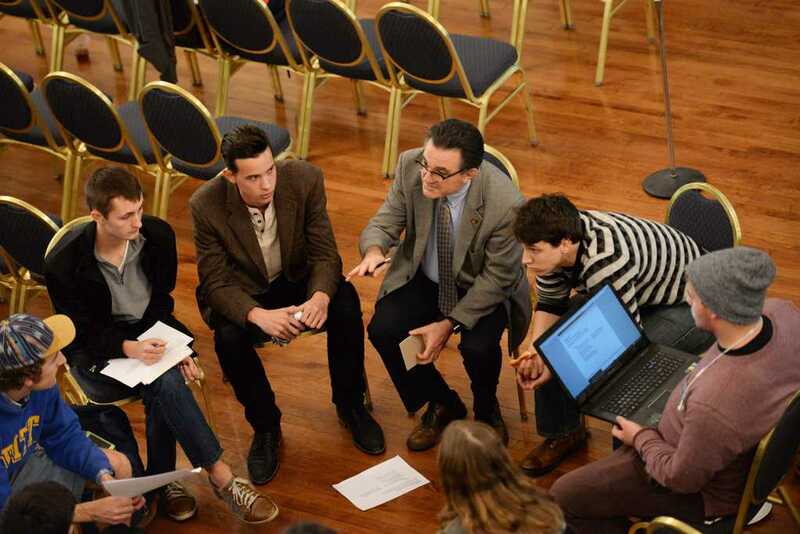 Juan Manfredi, chair of the education portion of the plan, and Cynthia Golden, chair of the diversity and inclusion group, sat among students to listen to group discussions. Students broke up into three groups of 10 to 15 as another new vehicle for discussion. After the last forum, Bonner received emails and feedback from students that made him think he spent too much time answering questions. “I don’t think students want to be lectured to,” Bonner said. 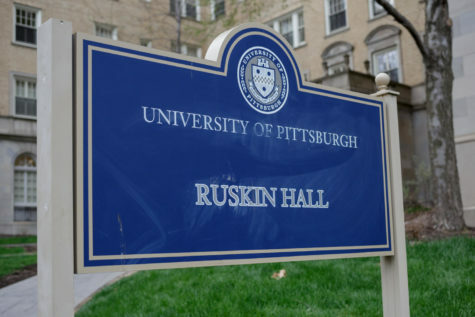 Students in the groups discussed a lack of readings from diverse sources in classes ranging from literature to philosophy, sexual assault standards on campus, merit and need-based scholarships, gender education for freshmen and support for part-time professors at Pitt. In response to what students said was a lack of diversity in the curriculum of their classes, DeJong noted “reinforcing the value of diversity” and “inclusion of global perspectives” goals in the strengthening communities section in the plan. “We should hear from a more diverse range of voices,” DeJong said. 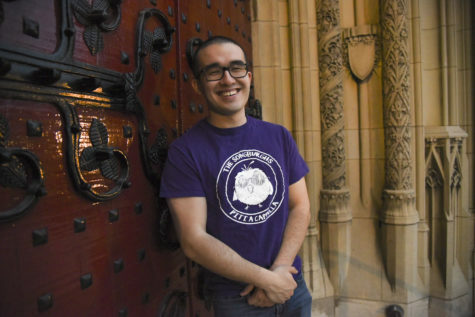 Joseph Zubrow, a freshman undeclared major, talked about a new required diversity program, called “Building a Pitt Community,” during orientation week for freshmen. The program debuted for the first time this fall in the Petersen Events Center. 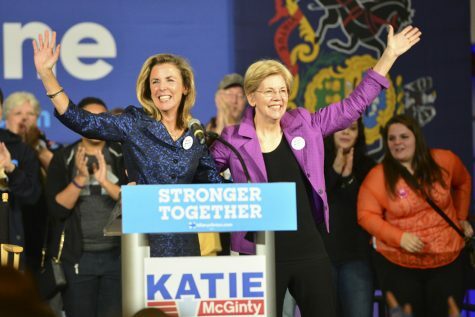 During the program, students could, but were not required, to stand up if they identified with certain characteristics, including, male and female, binary, transgender and first generation. While he appreciated the program overall, Zubrow said tactics like the standing activity are reductive when not everyone in the room is already versed in gender. “[Students] should know that it’s not limited to male and female,” Zubrow said. 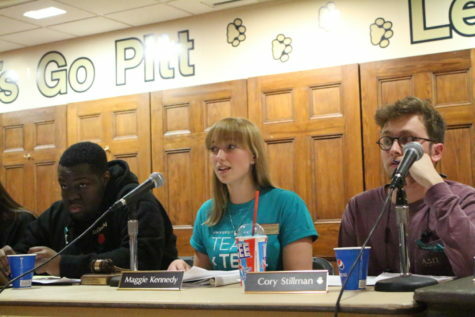 This comment opened up a discussion in the room about general education requirements at Pitt. Students like Beth Pindilli, a junior studying American Sign Language, history and political science said general education requirements often forced her to take introductory classes. Other students in the group suggested a required general education requirement on diversity or gender. DeJong said this a suggestion for a new requirement was a perfect example of something he would take to a working group. “[The diversity and inclusion group] is a potential vehicle to accommodate that goal in the plan,” DeJong said. 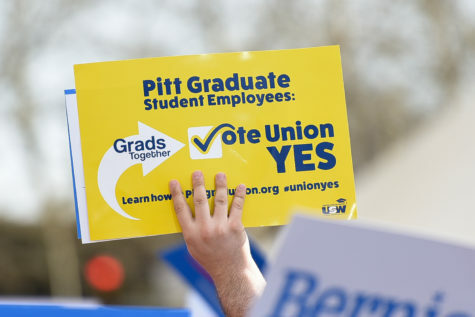 One of the concerns students brought up most frequently was about whether Pitt was providing a supportive environment for part-time and adjunct professors. Junior Sam Lofquist said he has a professor who frequently jokes about having to teach at multiple campuses and parking his car in the only free parking spaces — at the Schenley pool. Andrew Woomer, a sophomore urban studies major, said professors shouldn’t have to be teaching multiple classes just to scrape by. DeJong said he heard this complaint loud and clear and wants to provide a supportive working environment for everyone on campus, including part-time professors. At the end of the forum, students expressed a desire for a third and final forum to address the last three goals of the plan: strengthening communities, building foundational strength and engaging in research of impact. Bonner said at the beginning of the night that he didn’t think a third open forum would be necessary, as the turnout for this one was significantly lower than the first. After students said they wanted to talk about the rest of the goals, however, both DeJong and Bonner agreed to a third forum later this semester. The forums are for hearing input and feedback, Bonner said, rather than debating back and forth. He advised students to let the working groups and appropriate deans and organizations have time to work out solutions.